The most important article ever to be published about wide qrs tachycardia ! The power of statistics and commonsense have never been applied in the management this vital cardiac entity .While a 75% sensitive exercise stress test (EST) has a huge following in clinical cardiology , a 99 % sensitive clinical criteria* for diagnosing VT is not respected . In pursuit of knowledge , are we often chasing an imaginary issue ? But there need to be a correction in the above statement . Time , effort , cost involved in arriving at a diagnosis should be meaningful . ( Needless to say . . . it should a correct diagnosis too ) And if the power of statistics far exceeds the frivolous scientific data , street sense can be applied liberally even though current generation may call it un scientific . The issue here is not being scientific or unscientific , but whether you are right or wrong . The article which is quoted here has a great insight about the philosophy of VT diagnosis. The message form this article goes something like this . . . In the diagnosis of wide qrs tachycardia , If we apply the so called scientific principles the chances for missing a real VT is extraordinarily high , while if you blindly apply common sense and logic you are going to be 90% right . What a powerful statement this ! even though it appears absurd , it is absolutely true ! A young physician should realize the importance of this . Scientific decoding of arrhythmia may be an academic pursuit but in a given patient at bedside diagnosing by experience and common logic are far more productive and accurate. Miss diagnosis of VT was not common prior to 1980s . It has become a recent phenomenon . Probably too much of electrophysiology haS made a simple diagnostic pathway a complex one. When we relied only on commonsense the errors were less . I have often observed fellows making mistakes quite frequently while nurses were too confident to call a wide qrs tachycardia as VT .
Medical decision making is an art , in fact it is a “fine art ” We keep saying this for centuries , still medicine as a science easily overtakes medicine as an art. Here comes the problem . Some times (or is it many times ! ) too much of inquisitiveness in the name of science make practice of medicine complicated and the victims are often the patients ! Let us simplify medicine . . . let us accept an occasional bad outcome . . . for not being 100 % scientific ! After all , a million mistakes happen every day in the pure scientific pathway . How do you locate the level of the lesion in Right bundle branch block ? Generally , RBBB can be proximal or distal peripheral type.The commonest site could be the distal type. What is the benign rSr’ pattern in V1 ? This is nothing but a relatively late depolarisation of RV outflow or conus that produce a terminal RV activity . Many of the ostium secundum ASD may show just this rSr’ pattern confirming there is no organic damage to RBB in ASD . Calling rSr’ pattern as incomplete RBBB is not advisable (As many ECG books may suggest ) .This is because , even full blown RBBB pattern may actually be an incomplete one .Further , the degree of terminal r’ in V1 or s in lead 1 does not always determine the completeness of RBBB. Is there a totally blocked right bundle branch block ? Yes , it is not common . It can occur in extensive anterior MI . Some cases of Ebstein anomaly. It can be an working rule , complete RBBBs locate the lesion proximally and incomplete ones distally . What is the other evidence for RBBB in ASD is only a simple delay in conduction ? After ASD closure in many of the patients the RBBB pattern may disappear.This indicate RVOT regression . Can you clinically differentiate the proximal from distal RBBB ? Ironically ,what is difficult in ECG may some times be possible clinically.The classical description of wide splitting S2 occur often in peripheral RBBB. It represents a delay in the closure of pulmonary valve due to delayed electrical activation or increased hangout interval as in ASD .Logically S1 should also be split in RBBB. But this is not often discussed. S1(T 1) occurs immediately with the onset of RV contraction . Similarly M1 occur with LV contraction.It should be recalled it requires hardly 5mmhg of RV pressure to close the tricuspid valve and about 10mmhg for LV to close the mitral valve. If for some reason if there is a delay in RV contraction , as in very proximal RBBB the T1 is delayed and hence S 1 split. Note in most of the peripheral or distal RBBB the bulk of the RV free wall contraction is not interfered with . So , in distal RBBB it is highly unlikely the S1 will be delayed or split while S2 will be delayed. What happens to S2 in proximal RBBB ? Logic would dictate both S1 and S2 should be wide split. There is a simple way (Some would call this an futile academic excercise ! )to differntiate proximal from distal RBBB.If the first heart sound is split wide , it fixes the lesion proximally. This may indicate a more adverse outcome than a simple peripheral delay in conduction. Can you localise accessory pathway with the help of echocardiography ? Echocardiography is an imaging tool . Can it be used as a non invasive EP lab ? Heart is an electromechanical organ . For every mechanical activity there must be a electrical event preceding it . So, when we analyse the cardiac contraction and relaxation it indirectly provide us clues how the electrical activity spreads across the heart. The concept of using echocardiography for diagnosing cardiac arrhythmias have never been popular for the simple reason we have a cheap and best modality : The ECG. But, it does not give us the temporal relationship with the cardiac contraction. When these two are combined it can be a really powerful tool to analyse many cardiac arrhythmia. In fact , for every brady and tachyarrhythmia there has to be an unique pattern of IVS motion and mitral , tricuspid valve movement. Almost all bradycadias can be diagnosed with echocardiogram by virtue of analysing the timing of atrial vs ventricular contraction. The premature contraction of LV can be seen in few as an early systolic dip in IVS movement -Type B WPW. The future looks bright . Time is not far off . . . where , we shall use ultrasound as an adjunct EP study . Sinusoidal coronary stent : A new innovation from Medtronic ! When every one is thinking bare metal stents are dead ,here comes an ace from Medtronic ! Ego can be a great motivator and destroyer as well. It has the potential not only to damage the self but also the people in the near domain .This has been proven in all walks of life. Medical practice is no different . In fact ,it can have the more devastating effect as the victims are often the poor patients. The medical ego can be individualistic, departmental, institutional, etc. Often in the dormant form , can raise to gargantuan levels when stimulated or challenged. In its mildest form it occurs every day in the office practice. A physician often thinks he is always right and fails to get a second opinion even in difficult cases . Some where along the medical curriculum , doctors have to be taught that , what we know is only a fraction of what we are supposed to know , and the importance of self auditing. This never happens in most medical schools. This exist in several forms . 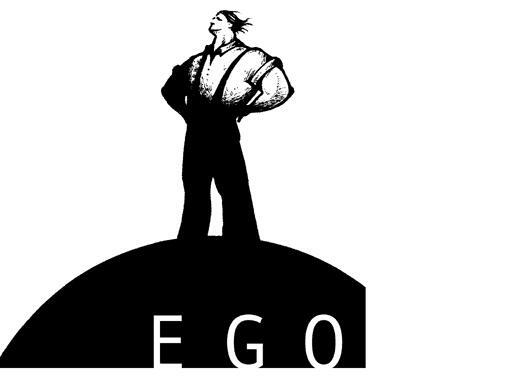 Ego with fellow colleagues is the most common type . Failure to accept a error in diagnosis is the most frequent form injured physician ego. There are many instances doctors carry on with the wrong diagnosis tag (On their patients) even after some authentic documentation is available against it. This especially happens when the correct diagnosis is made by a junior colleague . Eg : “I still think it is a pheochromocytoma let us do the scans again” Same tests are repeated . In the intervening period involves treatment delay and financial costs for the patient. It is obvious , such an ego in emergency rooms can be disastrous . This is also quiet common. Doctors expect their orders to be carried out at any cost. They take it very seriously , if a nurse or a junior doctor behaves independently . This is understandable as it raises the fundamental question who the boss is ? ! But , the problem here is, even a smart move in the interest of patient is not always relished the physicians . (Because it is perceived as an insult to the consultant ) . You can’t act smarter than me ! We know the major responsibility of caring a patient lies with staff nurses and junior doctors . (It is a universal medical rule the consultant will be remote from the patient care unless of course it is needed).If the specialist exerts an academic ego on them , there is every chance for the patient to suffer as even vital interventions could be delayed. I have observed , even some of the shrewd directives from the residents and junior doctors have elicited big hue and cry from some of the renowned physicians of our region.While many recognise the good work done by the junior colleagues , still their ego does not allow to appreciate and complement them . This is not a good sign for the medical professional . This is new phenomenon . Traditional ego was between surgeons and physicians. Now , with medicine growing leaps and bound there is probably a medical and surgical specialty for every human organ . This helps the physicians , to shrug of the collective responsibility . It has become a dangerous trend in many institutions. God created human body as a single entity . Specialists share their organs , convert a human body into a commodity (Has to make a living out of it ) As the medical science is branching out at a phenomenal rate it becomes a difficult task for them to come to the rescue of the patient when they need a collective intervention . Further , conflicts of interest and ego clashes take a front stage. An ENT surgeon and neuro surgeon to operate a nasal tumor together. A hybrid procedure of PTCA and CABG (Could be very useful in many situations) can not be practiced that easily . The issue here is not simply logistic .It goes beyond that . . . It has a peculiar issue .The admitting physician is vested with supreme powers – he becomes the sole caretaker for the given patient .Though it fixes responsibility , it has a potential risk , as this patient automatically becomes untouchable for other consultants . There are centers in which even intra departmental consultations are lacking .I know at least a handful of cardiologists who do not talk with each other even at times of crises in cath lab. This is more prevalent in fully commercial institutions . In this regard group practice with fixed financial remuneration may be a lesser breeding ground for ego clashes. Another form egoism may be financial discrimination , which is seen in some of the big corporate hospitals . There are instances some doctors and institutions shy away poor or relatively poor patients .There are institutions which feel allowing entry to less sophisticated public inside their premises is detrimental to their reputation and ambiance. Generally doctors show great respect for their patients. Information sharing is the major issue. What to tell and what not to, can some times reach really difficult proposition. Does the patient have a right to criticize the treatment ? Whether you like it or not some patients do it . Few suffer from a worst form of physician ego , that is directed against their own patient. Doctors are rarely comfortable when patient ask probing questions.This is acceptable in few instances. The root of the problem is doctors rarely accept their ignorance . There are many instances where a consultant refuses to see his own patient once he gets a second opinion from another doctor . It need to be realised this is actually the fundamental right of the patient he is executing .No need to get offended . It is the part of normal human psyche. There is no reason to believe doctors are different . But the following could be unique factors . A subconscious feel of ” demi god” status conferred by the patients . Failure to have an open mind approach . This translates into fixed ideas about a patient and his illness. This is especially common in countries where , single doctor or a family of doctors run nursing homes . Containing the physician egoism could be more important for doctors than attending to sophisticated CMEs and conferences and workshops . Counseling is required for many . Courage to tell the truth to their patients to be imbibed. Hippocrates said some 2000 years ago the fundamental quality of a doctor is to accept his limitations and ignorance .Every action of his or her, should aim only at removing the suffering of the patient . Now we are in the era where , market force have literally hijacked the medical filed . A medical degree can be bought in a weekend university shopping (At least in India it is possible ! ) . In this scenario if our students grow with one more wise ie “hyped up ego” one can imagine where our profession is heading for ! We need to initiate a debate on the issue . And there need to be a movement to cleanse the contaminated profession. It should be in the league of nuclear treaty , war on terror or the global environmental protection. Constrictive pericarditis(CP) has been a fascinating disease for the cardiologists for many decades . (Of course , not so fascinating for our patients!) The reason why clinicians were thrilled to diagnose this entity is due to the unique clinical and echocardiographic and hemodynamic features. Further , it is one of the few curable forms of cardiac failure. It is also about the philosophy , pericardium an inert membrane which is supposed to protect the heart , becomes a villain . When this innocuous layer is insulted by chronic infection (Tuberculosis most common) , radiation injury or post cardiac surgery it takes a dangerous avatar and start invading the organ which it guards . The pericardium becomes thickened , (often > 5mm -2cm) calcified , behaves like a “shell of tortoise‘ and begin to constrict the heart . Once the process of constriction sets in it becomes relentless . It only requires , a 10 -15mmhg of constrictive pressure to make the poor heart struggle to relax . (The maximum intracardiac diastolic pressure ,12mmhg(LV) .For the right side of the heart it is very low (0-5mmhg) . So it is obvious the right side of the heart RA, RV gets compressed first .This is why the classical features of constriction with edema , ascites elevated JVP occur.The associated hepatomegaly some times mimic a chronic liver disease. Of course relying only on the classical findings to diagnose CP would be a crime now . * Rarely constriction is confined to AV groove . This article is about this entity. It is difficult to imagine how a pericardium constrict a rigid fibrous skeleton of the heart namely the AV groove. Further , AV groove is located in a relatively gravity dependant portion of the heart . It facilitates stasis of inflammatory exudate in this groove .This may be the reason why the AV groove shows high incidence of calcification. It mimics a presentation of valvular heart disease. A mid diastolic murmur across mitral valve may occur mimicking valvular MS.
elegant description of this entity 5o yearts ago even before Echocardiography was invented. Greatest videoclipping on constrictive pericarditis.